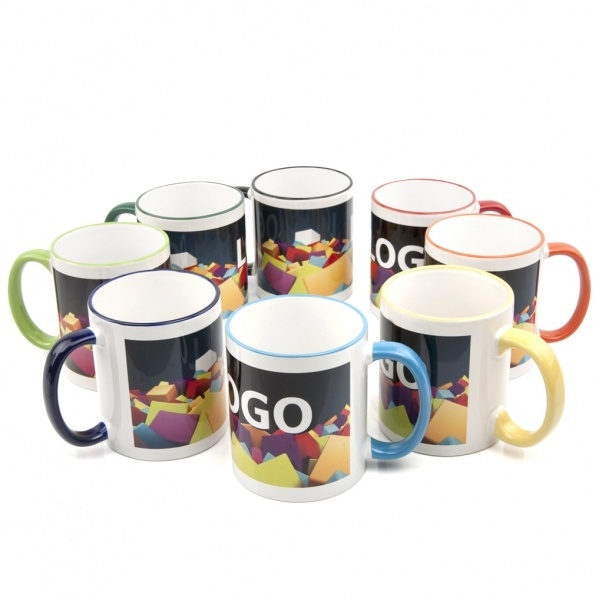 Printed mugs are a great promotional tool for your company. Our Athena mugs in classic white have a large area for your bespoke photographic quality print, with a stylish touch of colour on the handle and rim. High quality and robust, this custom printed mug should keep advertising your business for many years. Example price for Athena Mug with full colour wrap print.